Learning technology coach Ben Dykhouse shares the apps that help all of his students achieve more in the classroom. Ben Dykhouse is a high school computer applications teacher and the learning technology coach at Ontario Christian Schools in Ontario, Calif.
Meet Janelle, an intelligent, creative, computer-literate animator in training, who is a self-motivated sophomore. Meet Tony, also intelligent, creative, shy, somewhat computer-literate, and an English-as-a-second-language junior. Meet Justin, a creative, outgoing, somewhat computer-literate sophomore who works as a DJ on the side. I could go on, describing 20 students in the same high school class who have very diverse interests, talents and learning styles. As their teacher, how do I accommodate all of those students? How do I motivate them? How do I challenge them? How do I not go crazy? While there is no magic, one-size-fits-all answer to those questions, our school has tapped Google Apps for Education to help answer them. Google Apps have allowed our teachers to start making the shift toward student-centered instruction, where students own and control more of their learning than in traditional educational settings. We have used primarily five tools to make the transition. Classroom is Google’s version of a learning management system and was released to most schools at the beginning of the 2014–2015 school year. It allows teachers to post, collect and grade assignments, make announcements, moderate discussion threads and more. Posting tutorials for commonly asked questions is one of the more useful ways to differentiate instruction with Google Classroom. I recently created a screencast for my computer applications students when many of them had the same questions about creating a website. Students can access the video on any device, at their leisure. Many teachers also use Google Classroom to help facilitate a flipped classroom approach. 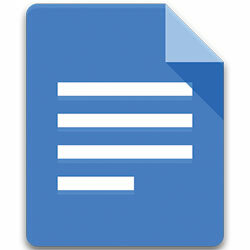 One major benefit of using Google Docs instead of another word processing tool is that teachers can review student work in real time. For example, if I assign a journal entry or essay to be completed during class time, I can see students work as they type. I don’t have to wait until students submit their essays to encourage and critique. As any teacher knows, some students need very little help while others need significant guidance. Google Docs allows teachers to pinpoint exactly who needs more assistance and encouragement, who is stuck and who is doing fine. Guiding students while they create opens up the door to a variety of strategies to differentiate instruction. I can make a comment to the side of a student’s document, open up a chat room there or make suggestions by typing on the document itself. 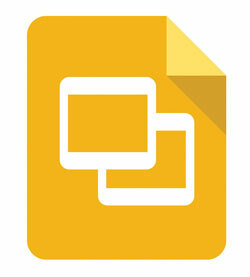 Teachers who are less familiar with tech integration may find Google Forms the most unconventional of the Google Apps tools; however, it may be the most helpful and most powerful. Forms gives students the chance to ask questions about class content without feeling singled out. As teachers know, students who need to ask questions the most are also the ones who usually don’t. Google Forms gives those students the opportunity to ask questions without feeling ashamed. Slides or Presentation — the names are used synonymously — represent Google’s counterpart to Microsoft PowerPoint. The benefits of using Slides mirror those of Google Docs: Cloud-based file storage allows students to enjoy access on almost any device, and teachers have real-time access to student work. Using Slides also allows students to collaborate in real time, contributing to the same projects simultaneously. Additionally, Slides and Google Docs both provide teachers access to a revision history, which shows who made what changes and when. That feature provides students with greater accountability since cheaters, copiers or students who try to take the easy way out during group work are easily identified. It also allows teachers and students to see all edits. Google’s spreadsheet app, Sheets, can serve as a companion app to Forms — and all results in a Google Form can be sent into a Sheet — but it also works great as a stand-alone tool. 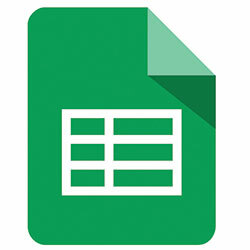 One useful way to use Sheets is to export a Google Classroom grade book into a Sheet. From there, conditional formatting can identify the students who are struggling most. Maintaining all grades in a Sheet also allows teachers to average, sum, chart and execute quick calculations of student grades. I asked students in my computer applications class to complete a time management assignment by tracking every waking and sleeping moment for a week, then enter those times into a Google Sheet. As they finished their week of tracking, they created charts that clearly displayed how they spent their time. The students wrote journal entries about their experience as they tracked and charted their time, and we ended up sharing some really interesting reflections. It’s certainly true that my students spend too much time in front of a screen (just as their computer teacher does for seven or more hours each day). Certainly, teachers and students will find other Google Apps for Education helpful as well. I encourage interested teachers to check out the value of Google Sites, Blogger and Google Drawing. The Chrome Web Store offers more resources for differentiating instruction and inspiring students to own their learning. I hope that readers will identify one or two ideas or resources there to try in their next units.